Building wealth is important, but so is family stability and proximity, say single women home buyers. Saving money and investing in her future were the primary motivators for the East Coast transplant. “When you’re a renter your money is going into someone else’s pocket,” she told Know Your Value. “I felt ready to invest in myself.” Jones, a senior marketing professional, was single and renting in the Las Vegas suburb of Summerlin when she started her home search. But the going was tough: She was consistently outbid by all-cash buyers in the low-inventory market. “You could walk into a new listing and they already had several offers on the table,” she said. She took a break, but resumed house-hunting last year, this time focusing on new construction, so she could simply put money down to reserve a house. The strategy worked. She bought a three bedroom, 2.5 bath two-story home in southwest Las Vegas for $300,000 and moved in this past summer at age 32. Jones said she gets a “feeling of accomplishment” every time she drives up to her house. Jones isn’t alone. It turns out that single women like her have been the second-largest home-buying group behind married couples since at least 1981, when the National Association of Realtors (NAR) started tracking the household composition of home buyers. The trend is consistent among first-time and repeat purchasers. In fact, single women make up 18 percent of all recent homebuyers in 2017 (the most current data available), according to NAR. The highest percentage of single women buyers was found in the 72 and older age group. At the same time, in 2017 single male buyers accounted for 9 percent of home purchases, NAR said. 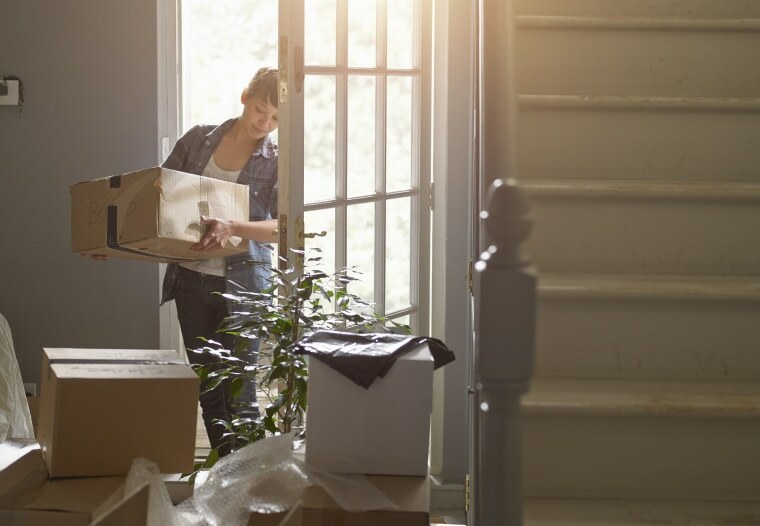 The single-woman-versus-man disparity may exist because single women prioritize homeownership more than their single male counterparts (73 percent versus 65 percent), according to Bank of America data released this month. “When you look at the data, there are a couple of corresponding elements that really play into what motivates women to become homeowners … Independence is a big one, so is empowerment,” said Kathy Cummings, senior vice president for Homeownership Solutions and Affordable Housing Programs at Bank of America. According to the data, single women are prioritizing homeownership over other life priorities, such as getting married (41 percent) and having children (31 percent). “I think women have come to discover, unlike my Baby Boomer generation, they don’t have to follow the traditional path of getting married and then buying a home and having children,” Cummings said. Susanna Haynie, a broker and owner of Co-RE Group in Colorado Springs, hadn’t much paid attention to the "single lady phenomenon,” but when she looked at her listings data from 2016-2018, the trend jumped out at her. In 2016, she had two single women buyers. In 2017, there were five. And this year, to date, 11 of her 23 transactions have involved single women. “And I just had another contact me,” she told Know Your Value. Approximately two-thirds of Haynie’s single women clients are older, downsizing their households to be closer to family and “create stability,” but she said she sees plenty of young buyers too. “With the younger women, it’s clear they want to gain control of their financial future. They are really fiscally educated. They want to control their expenses. And they feel best way to build wealth right now is to buy a home,” she said. Buying a home is a very personal decision based on your life stage and financial readiness. “I ask clients why they want to buy and how long they plan to stay in the home. Those factors can help them find the best mortgage for their needs, or even decide not to purchase at this time if they’re not ready,” said Haynie. In addition to lenders and realtors, HUD-approved counseling agencies can help buyers understand the home-buying process, improve their credit, and connect with local down payment assistance programs.